Can De Beers crack the spending power of Gen Z, a cohort raised in economic chaos? IRISH playwright George Bernard Shaw once observed that “Youth is wasted on the young”, but what’s less known is that the sentence ends: ” …. And wisdom is wasted on the old”. Quite whether De Beers CEO, Bruce Cleaver, has the wisdom to interpret the diamond buying needs of today’s young is a moot question, but it’s a topic that is occupying his company’s mind, and that of the diamond sector at large. 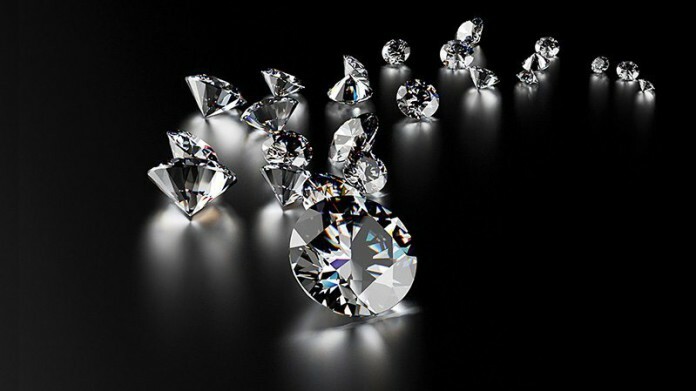 According to Cleaver, in De Beers’ ‘Diamond Insight Report’ for 2018, anticipating how Millennial (1981 – 2000) and Gen Z (born after 1996) consumers will approach the purchase of diamonds is one of the crucial questions in preserving the fortunes of the sector. It’s a question worth asking if only down to the fact that at two-thirds of the world’s population – there’s 4.74 billion of the critters – the two generations are larger than Baby Boomers and Generation X generations put together. Take Gen Z alone and you can see why De Beers is thinking urgently about the matter. They currently command $280bn ‘direct’ buying power in the US, but they also control $1 trillion in indirect buying power given the influence they have over household purchasing. (Ask any parent bringing up teenagers today). There are some board conclusions that can be drawn: whilst Millennials in the West are pessimistic of exceeding their parents’ wealth having first been bred on entitlement only to hit the financial wall during the 2008 crisis, Gen Z – born into a period of economic chaos – are more competitive and individual in their buying needs. The fact that women are buying diamond jewellery for themselves needs to be plugged into marketing plan. There are also many similarities between the generations. Citizenry and social responsibility are obviously important – largely a function of the ‘always on/always connected’ nature of the generations. It has led to the rapid proliferation of ideas, and a greater occasion of consensus on issues such as sustainability, climate, and diversity. The issue of diamond provenance, which came to popular consciousness in the Nineties and Noughties, is just the tip of the iceberg in this context. Another conclusion of the research is the rather obvious one that future consumers will inspect diamond jewellery online as never before. In China, for instance – which currently accounts for 16% of polished diamond demand – consumers spend nine months viewing diamond jewellery before they purchase it. And it’s not just internet searches anymore; and not even Facebook relevance which has become the stamping ground of ‘older Millennials’ whilst the young flee to Snapchat and YouTube. Quite how De Beers, and others, coral this information into a sales strategy is a dark art for which the diamond giant is famed, but it has fallen back on the assumption that regardless of the generation, the connection between love and diamonds will persist. But even this doesn’t come without it having a mind for how society has evolved positively in respect of gender and sexuality.